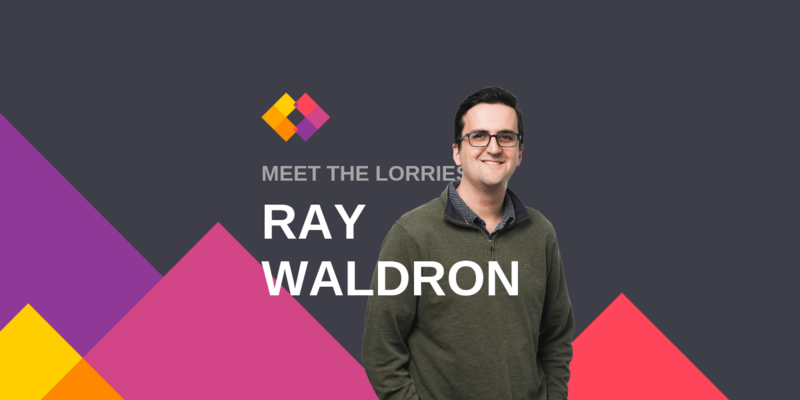 We sat down with Ray Waldron, one of the newest lorries in our Boston office. As someone new to the world of b2b technology, he had to quickly get to grips with some complex topics. But what can he tell us about himself? Here’s what he had to say about switching industries, his “geeky” obsession with hockey and his passion for beer. Cheers to that, Ray! After spending time in financial services and sports communications at the in-house level, I wanted a new challenge in a fast-paced agency setting. 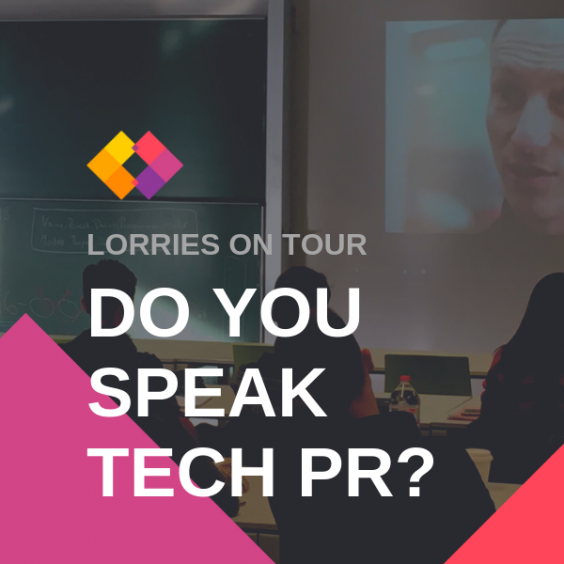 Even though I was new to b2b tech PR, the lorries gave me an excellent opportunity to showcase my PR skills. Come ready to get to work. With how fast the news comes in b2b tech, it’s important to always keep the pulse on what’s going on and really be dialed-in with the current trends. I get tech news from the likes of CMSWire, TechTarget, Wired and TechCrunch. As I’m based in the US, for PR industry news I look at titles like PR News Online and PR Daily. Staying on top of the industry gives you such a leg up when it comes to speaking with clients / media and presenting yourself in the best possible light. What skills are essential for b2b PR? Natural curiosity and confidence. Prior to the lorries, I hadn’t worked in tech, so I had to quickly immerse myself in an world unfamiliar to me. This required me reading up and learning about things like enterprise collaboration, intranets, SD-WANs, among others. I loved the challenge of learning something new and surrounding myself in an unfamiliar industry. You also need to be confident in the abilities that brought you where you are! If you’re a good writer, don’t be afraid of having to make edits on things or take feedback – be confident in your ability and use it to grow yourself as a communicator. I love the unpredictability of it. There’s really no such thing as a “typical day” in PR, especially in the tech industry where there’s so much at stake, like personal data and national security. Things can get crazy at the drop of a hat (or a tweet). The unpredictability can be stressful from time to time but it keeps you organized and forces you to always be prepared. My other favorite part about working in PR is that it gives me the ability to write. I studied journalism in college and I was constantly writing. 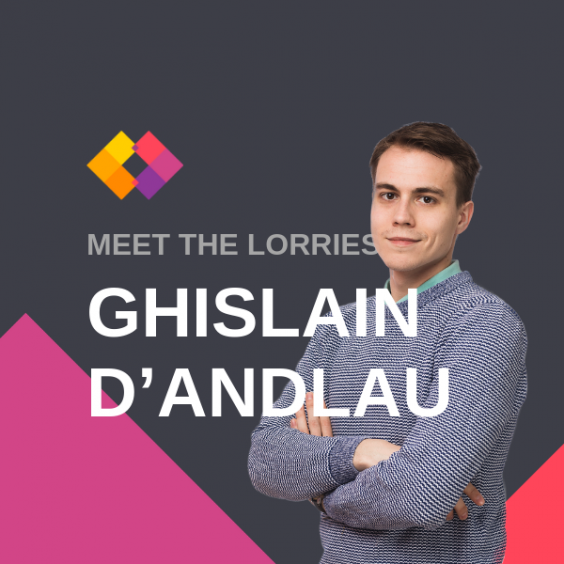 It’s something I absolutely love and the lorries have given me the opportunity to continue that passion. 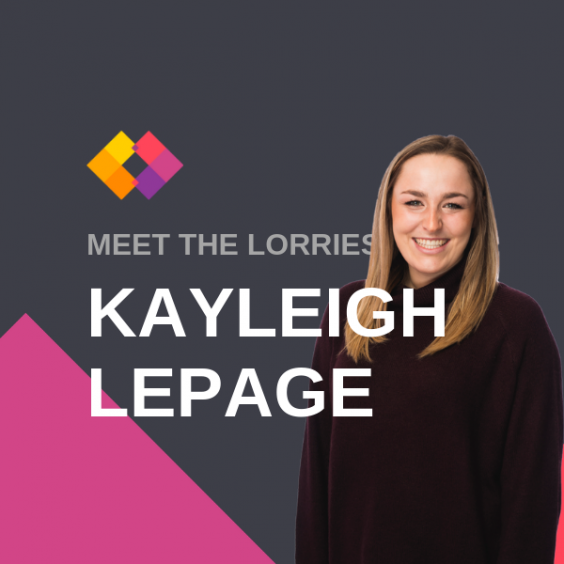 What’s the best part of working at the lorries? The personalities and culture! The teams are all so collaborative and engaged with each other, even across global time zones. From day one here I felt so welcomed and comfortable to ask anyone questions, because everyone is so willing to help you learn and see you succeed. It’s a serious team effort here at the lorries and they know how hard the work can be. The culture is very rewarding here. When you get an A+ and a sticker on your book report, we make sure your parents know about it and that it makes it onto the fridge. We’ve placed a lot of great book reports on some top-tier fridges. Though I can’t ice skate to save my life, hockey is my absolute favorite sport and I obsess over the geeky side of it. I’m fascinated by anything numbers-related; statistics, playoff forecasts, player performance analysis, contract negotiations, free agency negotiations, team expansion, etc. If it has to do with numbers and hockey, I’m interested. I’m extremely passionate about beer, and have been brewing for well over a decade now. My dad taught me at a young age, when I’d help him along with his homebrews. Since then I’ve brewed hundreds of bottles of pale ales, IPAs, porters and stouts. I’ve attended beer conferences, toured over 50 breweries across the US and abroad, taught others to brew, and collected a library of recipe books. My favorite styles of beer are west coast IPAs and imperial stouts. Walking home from work one afternoon, I was caught behind a guy who was pushing his kids in a stroller on the sidewalk. He was going pretty slowly, so I wanted to walk around him. As soon as I went to pass him, I realized he was one of the leading scorers on the Boston Bruins, out for a nice walk with his kids. Unfortunately, in the time it took me to process this information, I completely missed a tree that was right in front of me, and walked smack directly into it, and he saw the whole thing happen.